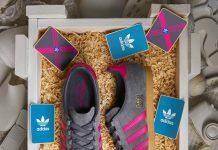 Adidas Originals pays homage to the historic arsenal of logos featured on previous models, with the latest ZX Flux silhouette. 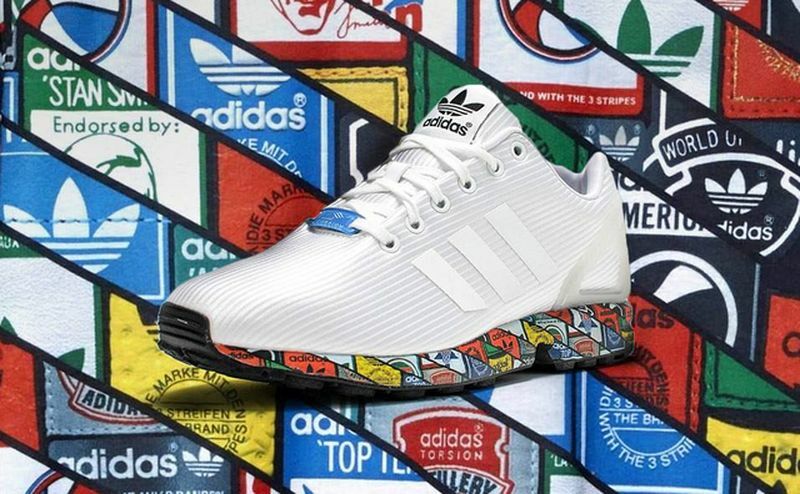 Featuring a white upper, the Adidas ZX Flux features a collage of labels that were given to the original adidas line up. 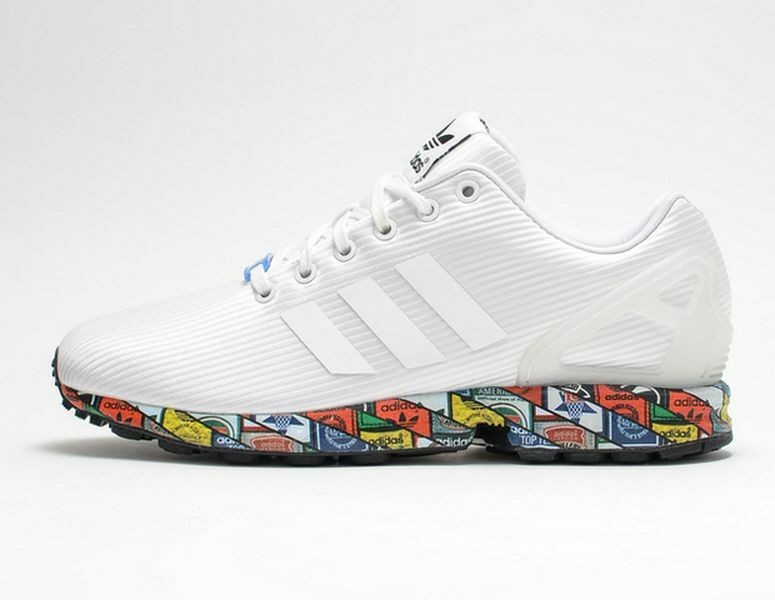 Just about every logo from the Stan Smith to the Busenitz and Torsion can be seen on the midsole, giving this ZX Flux a unique take. These should be available at adidas retailers like Sivasdescalzo or at your local Adidas store.